I went in reverse, Montgomery to Selma. 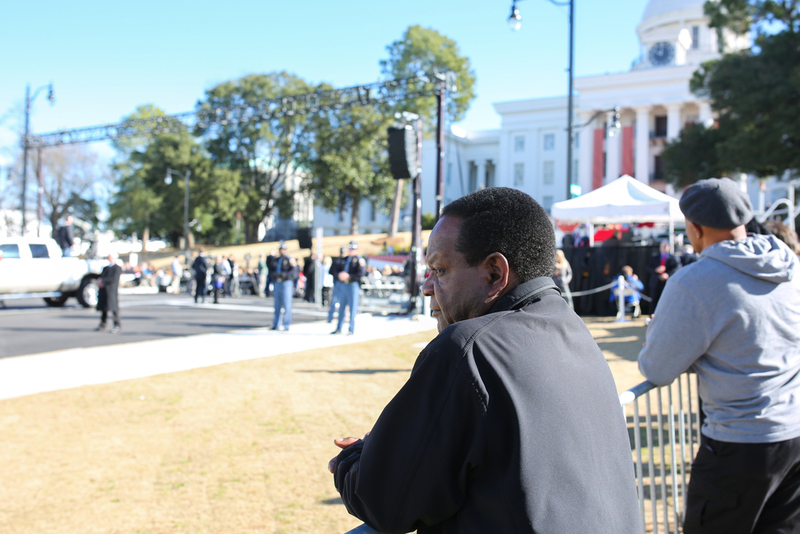 Montgomery was full of police, politics, hoopla, and quiet protesting. The mayor promised things in a robust and commanding voice, but as I looked around, not many people were paying attention. I arrived around 11 am, while the mayor was speaking and just before the parade began. Children were playing on iPads, halfway interested. 'Bama-clad residents came for the show. Grandparents who have many memories of this day brought their grandchildren. But, I looked up to see policemen at the top of every building, including some in front of the clock on top of the capitol building. If something was going to happen, I didn't want to be there for it. I had a feeling more things were happening elsewhere. I left there for Selma. Selma was quiet, deserted, left over. The media had already come through. Oprah, John Legend, and Common had already made their appearance. 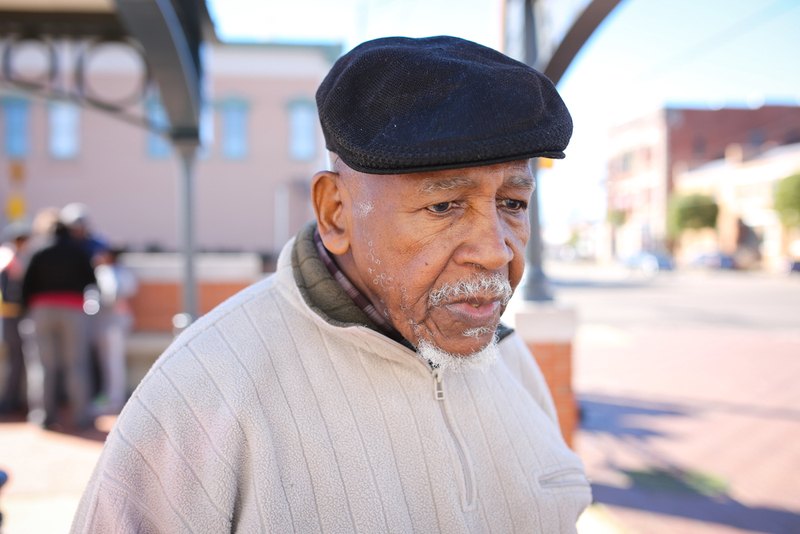 As I pulled in, I saw a group of elderly people linking arms. On this day, 50 years ago, they sought a dream and lived a nightmare. These few left with visible scars, previously broken bones, and hats covering old wounds from billy clubs bravely relived that day. Too worn to make it all the way across, they walked what they could and came back. Anne Pearl Avery, John Pearlie Pettaway, and George Sallie so graciously allowed me to photograph them. There, with eyes aged and tinted blue from cataracts, John Pearlie Pettaway said it best, "We all gotta come together. You hear? I don't know how and I don't know when, but we all gotta come together." If you've seen the recently produced film, Selma, I don't need to say anymore. I'll let the images speak for themselves.